When it comes to being the leader of the “free world,” the most important prerequisite for any viable candidate is a solid and current understanding of science. Science, and its role in interdisciplinary solutions to global troubles, will be the guiding light to the salvation of this polluted, over-populated, greed-ridden planet. An organization called Science Debate just let loose with the answers they received to questionnaires they sent to the four presidential candidates, requesting statements on how they would deal with the issues of (and in this order): Innovation, Research, Climate Change, Biodiversity, Research, Mental Health, Energy, Education, Public Health, Water, Nuclear Power, Food, Global Challenges, Regulations, Vaccination, Space, Opioids, Ocean Health, Immigration and Scientific Integrity. Democrat Hillary Clinton and Green Party Jill Stein sent back the only statements that were well thought out; indeed, their answers were quite compatible. Republican Donald Trump revealed an idiotic toddler’s grasp – on all subjects. 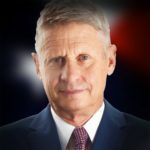 And Libertarian Gary Johnson didn’t even bother replying to any of the issues. (“What’s Aleppo?”) All in all, the differences between the men and women in this quartet couldn’t be more stark. Regarding outer space, Clinton said she fully supports human exploration of Mars, in step with the Obama Administration, and added she would work with Congress to keep the timeline on this quest fully funded. She also showed a contemporary knowledge of discoveries, such as the brine water found on Mars. Trump, in contrast, doesn’t appear to realize there is even a plan to get to Mars. 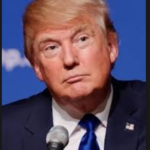 His statements were homogenized, lofty generalizations, such as, “All humankind benefits from reaching into the stars.” Of course, since his rally speeches indicate a shaky perception of proper grammatical subject and predicate usage, we are well aware that his replies were written by some underpaid hack. For full cartoon, click here. and zoom in. Source: Randall Munroe/xkcd.com. 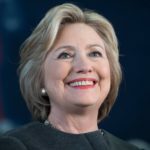 It was no surprise to see the diametrically disparate views on “Climate Change” and “Biodiversity.” Clinton has a clear vision toward ending the nation’s dependence on fossil fuels, including incentives to states that improve solar and wind production, as well as providing millions of jobs in the clean energy fields. But Trump, while not blurting his usual line about global warming being a hoax perpetuated by the Chinese, said, “There is still much that needs to be investigated in the field of ‘climate change.’” He added we would be better off eliminating malaria and other diseases or maybe improving food yields. I wish I were making that up. Does he not realize that killing off our flora and fauna helps create disease?? It’s worth noting that Trump, during several interviews, has vowed to pull out of the international climate accord made in Paris last year. Clinton realizes the importance of biodiversity and preserving habitats for all creatures. Trump believes we need to abolish all environmental regulations and blames the “bureaucrats” for taking over public lands. I wish I were making that up, too. 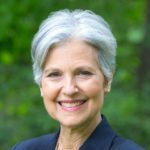 To be fair, Jill Stein had beautiful answers on just about everything. But let’s face it folks, she doesn’t have a snowball’s chance on Venus of winning. If she had even 30 percent of the polls, believe me, Galactic Sandbox would be endorsing her. Alas, she has but 2 percent. We strongly recommend Hillary Clinton for this job, and know that her supreme intelligence on so many issues and her tenacious focus will put us in a better place. Cause of Space X Falcon-9 explosion still a mystery. 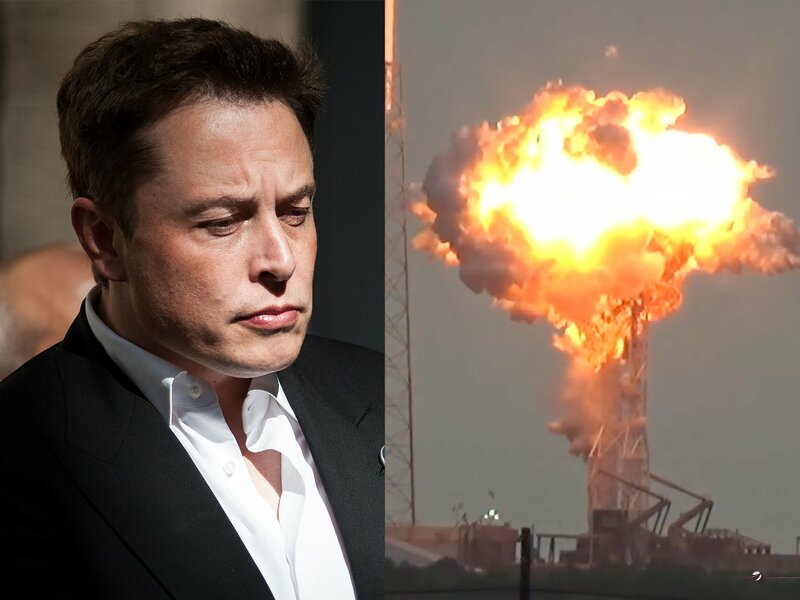 There were some additional details Musk disclosed about the “anomaly,” such as the explosion occurred “during a routine filling operation,” and that “there was no apparent heat source” since the engines were not on. Musk also brought up the possibility (hold on to your Tin Foil Hats!) that the cause of the blast may have been triggered by “something else” other than the rocket, since they’re “trying to understand the quieter bang sound a few seconds before the fireball [went] off.” . According to Tech Crunch, Musk, in responding to a Twitter question, said his team hasn’t ruled out the possibility that an external object struck the rocket just before it blew to smithereens (and no, we don’t think he means Faceybook-hating aliens). 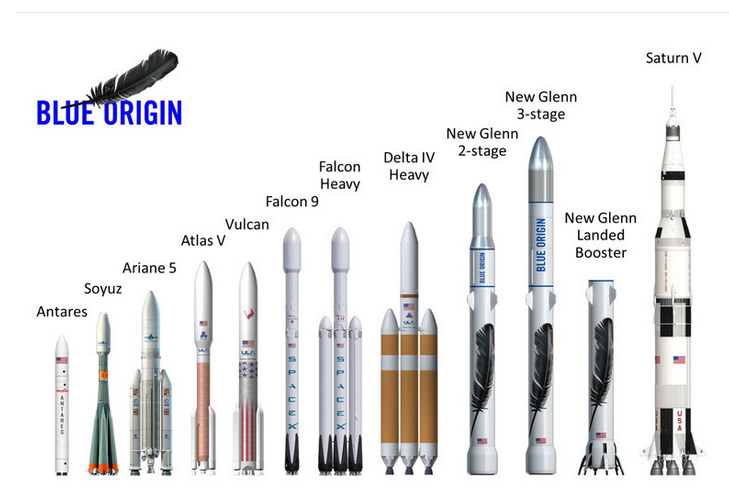 Threee-stage New Glenn rocket will be nearly as massive as the Apollo-era Saturn-V booster. 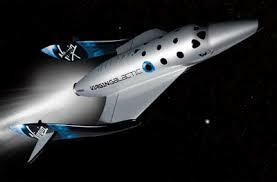 Virgin Galactic “mothership” with rejuvenated SpaceShip 2 craft. At the same time Elon Musk is licking his wounds and contemplating Faceybook-hating aliens, his competition is storming ahead. 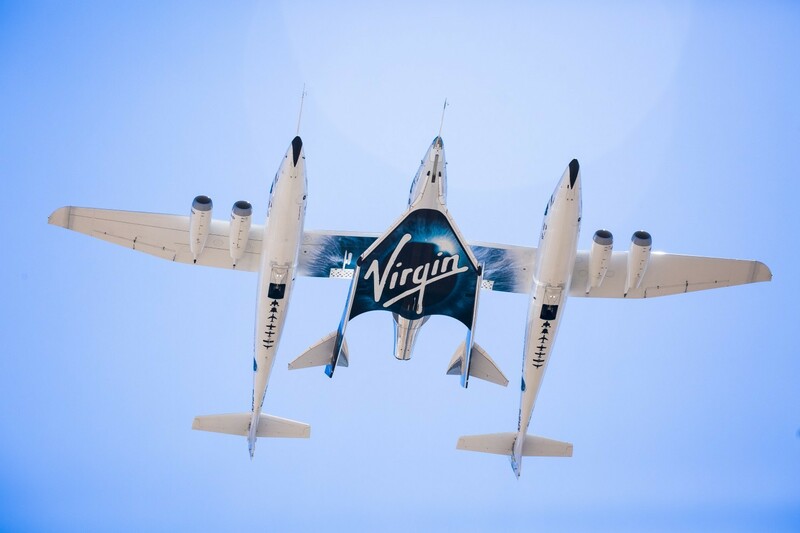 Virgin Galactic boss Richard Branson is once again jubilant – not for the failure of the latest Falcon 9 last week – but that his SpaceShip2 had a flawless “air launch” over the Mojave Desert this week. It has been nearly two years since the spacecraft fell apart in the same Mojave sky, killing co-pilot Michael Alsbury and seriously injuring Peter Siebold. 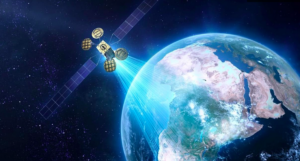 On the heels of the successful test, Virgin Galactic big-wigs signed a deal Tuesday with the Australian communications company Sky and Space Global to launch four of its satellites. SpaceShip2 will vroom off a Boeing 747 to place the sats in a low inclination orbit, but no mention yet of when this will start happening. Space watchers deduce that each launch will cost “less than $10 million,” since that is what Virgin offered the company previously before the fatal test flight of 2014, placing the kibosh on Virgin’s aspirations. Luckily it was only temporary. 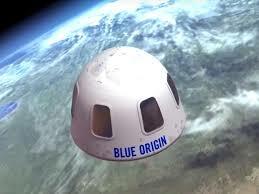 Blue Origin’s planned “human cargo” capsule. And move over again, Space X, because Amazon emperor Jeff Bezos’ Blue Origin will be performing a key trial for its “space tourist” capsule in west Texas later this month, with a test launch of its New Shepard rocket. 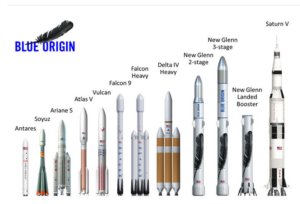 Like Virgin’s 747, the rocket is expected to perform an “in-flight” escape: it will blast off the Blue Origin capsule (which someday will carry paying passengers), and the capsule is to land safely with the help of massive parachutes. 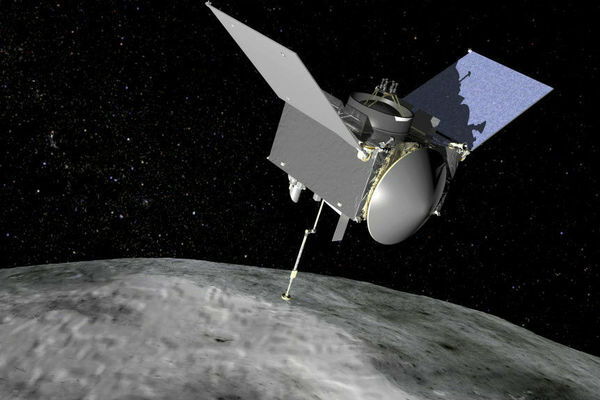 NASA’s OSIRIS-REx probe was successfully launched last week, and is on its way to an eventual 2018 rendezvous with asteroid Bennu. (Apparently, the spacecraft escaped being destroyed in the fiery Space-X explosion on September 1.) Once it arrives at the mountain-sized space rock, OSIRIS will spend two years mapping the near-Earth asteroid in preparation of its July 2020 maneuver in which the craft’s 11-foot arm will reach out and perform a cosmic”high-five,” stirring up surface material and scooping up 2 ounces of rock and dust. The spacecraft will return the asteroid sample in September 2023, where it will studied at NASA’s Johnson Space Center. (According to the space agency, this will be the largest extraterrestrial soil specimen delivered from space since the Apollo era.) Scientists hope that the pristine celestial loot will enable more precise clues on asteroids’ role in providing water and organic molecules for the early Earth back four billion years ago. 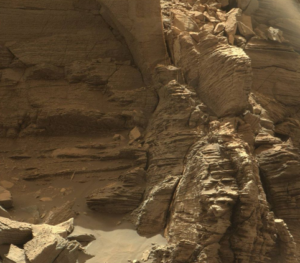 NASA’s Curiosity Mars rover sent back dramatic detailed photos last week of ancient sandstone formations that look like they could have be taken from a number of US National Parks or along California’s Newport coast. Bumping along the “Murray Buttes” region of the Red Planet’s Mount Sharp, Curiosity is also drilling for soil samples in this area before it heads further south toward higher elevations. 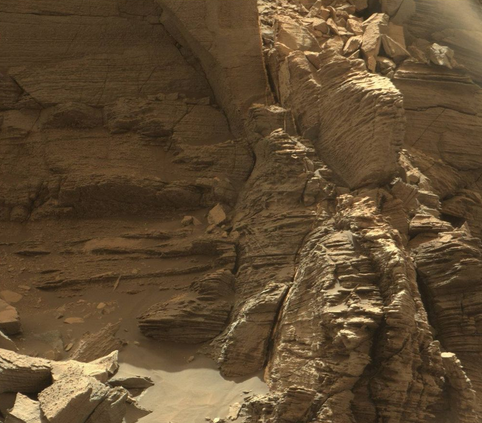 “Studying these buttes up close has given us a better understanding of ancient sand dunes that formed and were buried, chemically changed by groundwater, exhumed and eroded to form the landscape that we see today,” said Curiosity Project Scientist Ashwin Vasavada. However, don’t be surprised that these photos will generate a new crop of absurdist reports from the carnival barkers at UFO Sightings Daily claiming that Curiosity has discovered proof of the existence of an ancient Martian beach blanket bingo party (don’t worry – we have plenty of Tin Foil Hats in stock in case you’ve misplaced yours!). The same gravitational pull from our Moon that keeps the Earth’s axis steady and causes tidal ebbs and flows may also be responsible for triggering earthquakes at some of the most volatile global faults, according to a recent study published in Nature Geoscience. 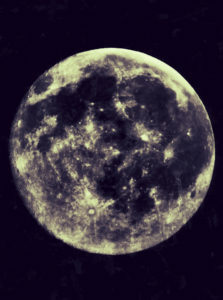 Researchers at the University of Tokyo have found high levels of “tidal stress” occurring just before major earthquakes in the past few decades, concluding that “large earthquakes are more probable during periods of high tidal stress.” Whiles these findings need to be verified, some of the major temblors likely associated with dramatic high tides during full and new moons include the 2004 magnitude 9.1 quake in Indonesia which caused the tsunami that killed 230,000 people and the 2011 seismic ripple in Japan that spawned the tidal wave that damaged and led to the meltdown at the Fukushima nuclear reactor. 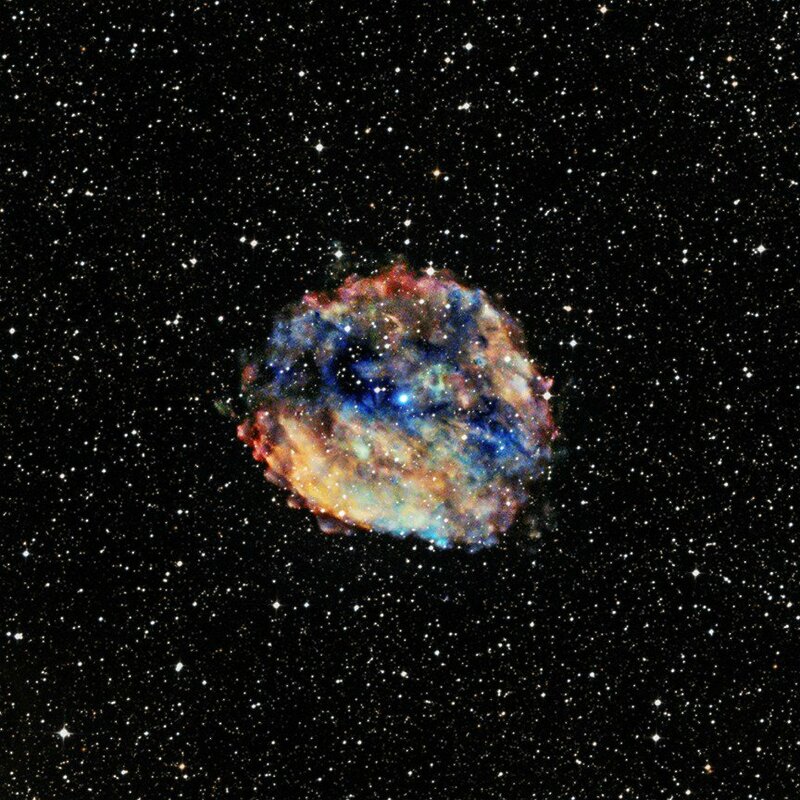 “Slow” spinning magnetar found 10,700 light years away. NASA brains have announced the rare discovery of a magnetar (incredibly dense neutron stars with magnetic fields trillions of times stronger than our Sun’s), but this one is an oddball critter unto itself. The magnetar 1E 1613 is only the 30th ever found, and it’s 10,700 light years away. But what makes it different from other magnetars is that it spins glacially slow, in comparison. Most magnetars spin fully around every 10 seconds, but 1E 1613 rotates once every 6.67 hours. Astronomers believe magnetars slow down with age, but this one is a babe in the woods, estimated to be only 2,000 years old. 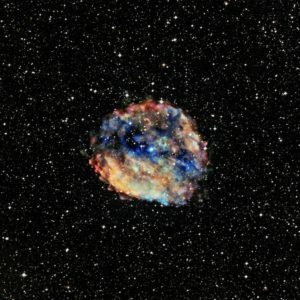 One theory is that since the newborn is found at the center of RCW 103, which is the name of a cloud of dust leftover from a supernova, debris from the original star’s death somehow impacted its spin. Hubble Large Magellanic Cloud pic. 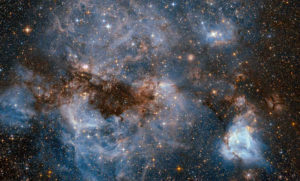 Hubble Space Telescope operators are giddy over a new photo the engineering marvel snapped of a close-up of the Large Magellanic Cloud, a “satellite” galaxy within our local group that orbits the Milky Way some 163,000 light-years away. Hubble zoomed in on a stellar nursery called N159 within the LMC, and within N159 is the butterfly-shaped Papillon Nebula consisting of super-dense gas that gives birth to a litter of hot new stars. N159 measures 150 light-years across and exudes ultraviolet light and torrential solar winds which causes the region to glow with wispy colors. You’ve heard of radioactive solar winds, but get ready for the new monsters called “electric winds.” NASA Goddard researchers say they are “shocked” (we believe that pun is intended) by the power of newly discovered electric winds on Venus, which they say are so strong that the force literally sucked off whatever oxygen the planet of love had going for it in its atmosphere, effectively scrubbing out any chance of water forming on the hellish sphere. The researchers recently found the “amazing” phenomena by using the electron spectrometer aboard the European Space Agency’s Venus Express spacecraft. It’s significant because Venus is considered Earth’s unfortunate twin, and by studying how this electric wind literally pushes the layers of the planet’s upper atmosphere off into space, scientists may better understand where the Earth’s greenhouse gas problem is headed. 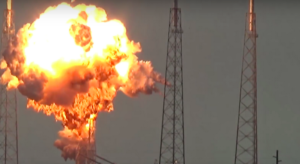 Not long after Space X’s Falcon 9 rocket kablooyed itself into smithereens along with its communications satellite payload and launchpad at Cape Canaveral last Thursday morning during a pre-launch fueling, the space pundits’ tongues started wagging. Could this catastrophe push back commercial space endeavors for long? Forever? Space X chief has no long-term worries over pre-launch destruction of Falcon 9 rocket last week. Apparently, these talking heads have never profiled Space X head Elon Musk. Musk immediately started spinning the incident into a “nothing-to-see-here-folks” type of … thing, calling the explosion an “anomaly,” and tweeting out that it was not a flame up per se but a fast moving fire, indicating that had astronauts been on board, they still would have had time to eject themselves from the jaws of hell. 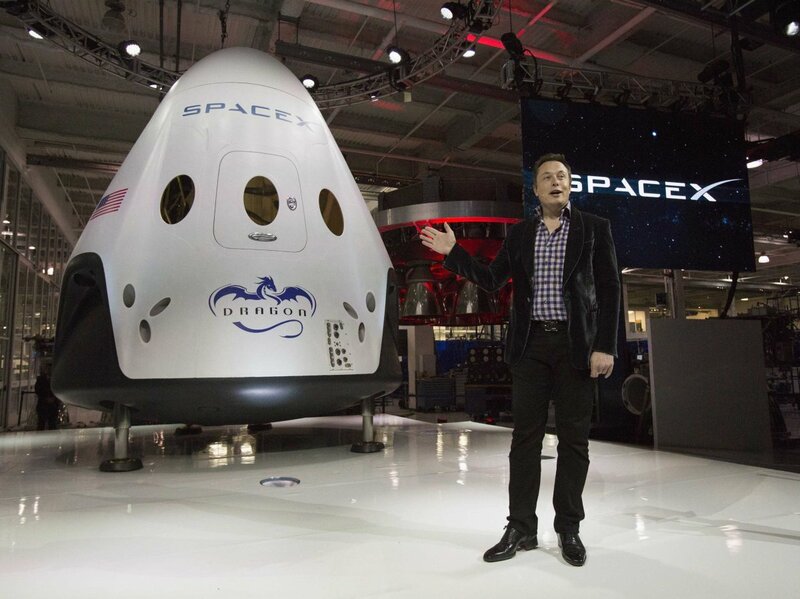 Elon Musk showing office Space X Dragon module. 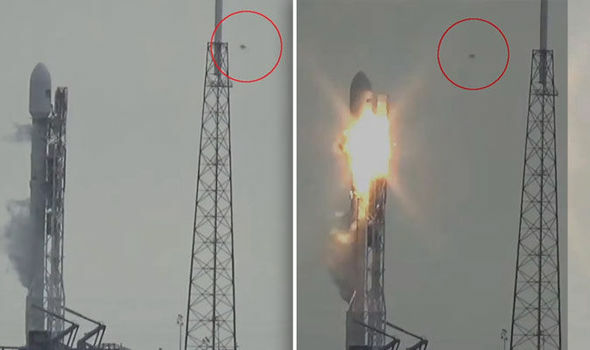 Whatever anyone calls it, the incident caused a herd of furrowed brows since NASA is depending on commercial space companies – particularly Space X’s Falcon 9 rocket and the Dragon capsule – to ferry astronauts and supplies to and from the space station, sooner rather than later. Since the shuttle was scrapped, everyone is relying on the Russians and their Soyuz rocket and Proton vehicle… and paying the millions of bucks the Russians charge that go with every launch. Facebook satellite lost on the launchpad. 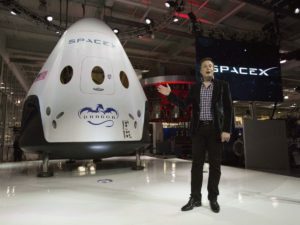 In fact, before Thursday’s explosion, NASA’s Inspector General had recently sounded the alarm that Russia’s space taxi business was costing the U.S. too much, and that the price would only go up if there were any more delays – as the Russians have proved they are only too happy to take advantage of their monopoly. To give you an idea how much dough we’re forking over, the Russians charged NASA $21.3 million in 2006 when the shuttle was retired, and now they stick it to NASA for $81.9 million a year, as they did in 2015. The massive explosion on Pad 40 took with it a satellite that was to provide sub-Sahara Africa with Faceybook. I guess the Saharans will have to wait a little longer to post snarky memes about Donald Trump and his ignorant mouth and hideous hair. But I am betting not long. Elon Musk is already talking about using Pads 39 and 41, and he wants to do it right away. Photos show mysterious “UFO” that appeared just before the Falcon 9 rocket exploded. 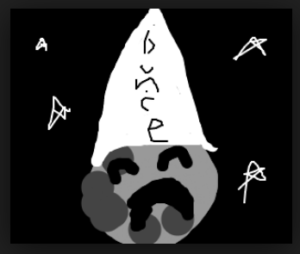 Of course, if you ask the Tin Foil Hatters about the Space X explosion they will tell you an “anti-Facebook alien” did it. I wish I were making that up, but alas, tragi-comically, I am not. And they have the photos to prove it! Sigh. Back to reality. I, for one, have my money and full faith on Mr. Space X, Elon Musk, who has successfully proven several times now that he can fire a rocket into space, deliver a payload, and re-land that rocket back to Earth intact for re-use. He is the first to do it, bringing the price of space access back down to Earth as well. 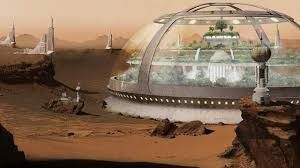 The New Yorker has a story giving credence to the rumor that Musk is going to announce his plans to build the first city on Mars, at the International Astronautical Congress in Guadalajara, Mexico, later this month. It’s enough to make you scream, and feel like you’re screaming in outer space, where “no one can hear you.” In May of 2015, more than a year ago, Russian radio astronomers detected what seemed to be a really big signal from 94 light years away in a star system called HD 164595. The scientists and many others have been studying that signal all this time, and finally, last week they announced to the world that a possible signal from an alien civilization may have been detected. What infuriates me is that they sat on the signal for so long. 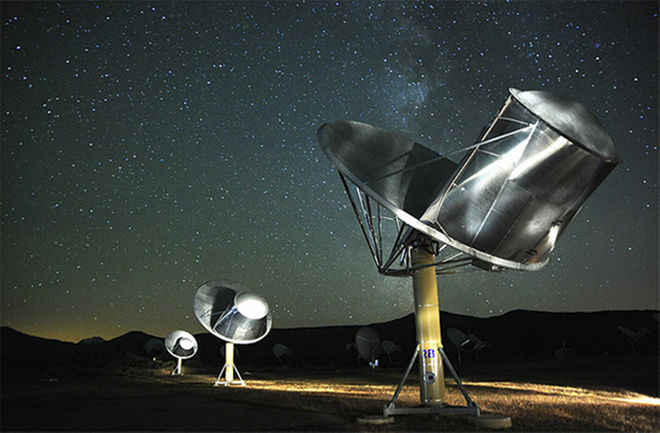 Had it been the American organization called SETI, Search for Extraterrestrial Intelligence, based in Mountain View, Calif., we would have known about it much sooner, as SETI’s protocol postulates full disclosure as soon as possible. And since the Russians made their discovery public last week, it seems the Big Shout Out has dwindled into a kazoo honk. At first, there was doubt that it could be from aliens. 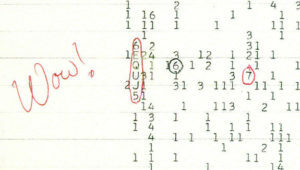 Then it seemed as if it could be from aliens, but more likely we would never know because it was probably just like the elusive “Wow!” signal, named for an astronomer’s scribbled note in the margin of a read-out when Ohio State’s “Big Ear” radio scope found a bizarre sequence of signals back in 1977. 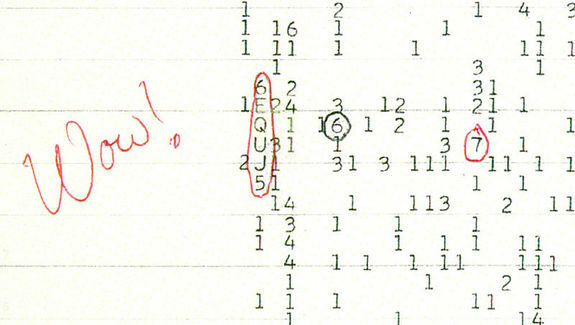 Radio astronomers around the globe continued searching fervently for the “Wow” signal after it was initially found, but they never picked it up again. Hooray! 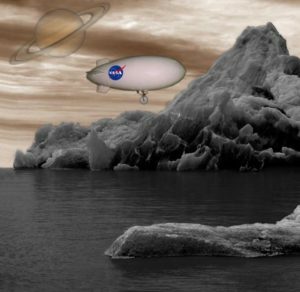 A NASA scientist spilled the beans last week that the agency wants to send a submarine to explore Titan’s oceans. 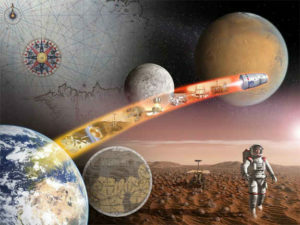 But don’t hold your breath: it can’t happen until 2038 – long after we expect to set up house keeping on Mars – when the planet alignments are just right to make the trip. Saturn’s moon Titan has long been a career dream for astrobiologists when they figured out there was a humongous ocean beneath its cracked icy methane surface. The Kraken Mare (perfect name) covers 1,000 kilometers and is estimated to be 300 meters deep. 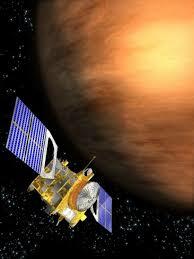 The sub probe will search for signs of hydro-carbon based life and Earth-like properties on Titan. 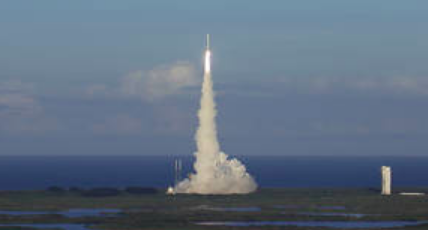 The staff of Galactic Sandbox applauds this future science quest, but we would like to see a similar mission assembled for Saturn’s other interesting moon, Enceladus, which is covered in water as well but has hot geysers jetting out thousands of miles at its southern pole. Hey! 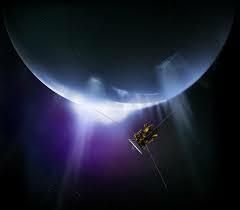 Perhaps we could get to Enceladus much sooner than Titan. Hmmmmm. 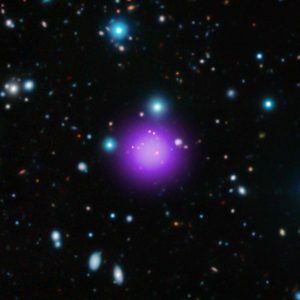 NASA’s Chandra X-Ray Telescope has found the biggest structure to date in this universe, and the furthest away – 11.1 billion light years away. It’s insane name is CL J1001+0220. (Don’t ask us why, please.) But this system has 11 galaxies in it, and nine of them are churning out new baby suns faster than rabbits copulating. The astronomers of Chandra say the suns are forming in the core of the galaxy cluster, creating about 3,000 suns a year. NASA artwork depicting Osiris Rex spacecraft orbiting near-Earth asteroid Bennu. So far it’s a go for the Osiris-REx mission to the asteroid Bennu, scheduled for launch on Thursday, Sept. 8 at 7:05 am. 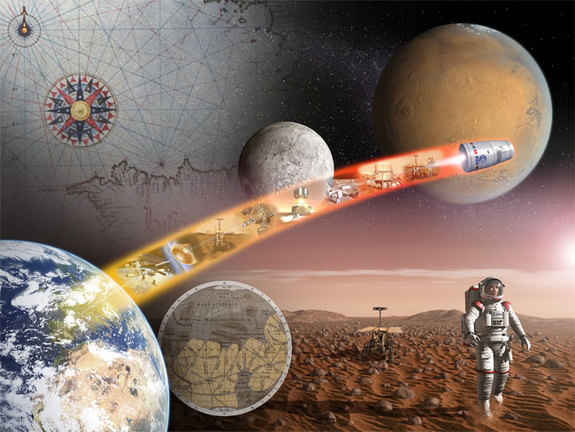 The craft is built to scoop up two ounces of asteroid dirt samples, and when the dusty treasure arrives back on Earth in seven years, September 24, 2023, the spoils will be divided between all the global partners involved in the mission. Bennu was chosen because it is believed to be chock-full of organic materials, and it fit other practical criteria as well, such as being big enough to land on. It is also considered not only a near-Earth asteroid, but a possible city killer, as it crosses our planet’s orbit every six years. 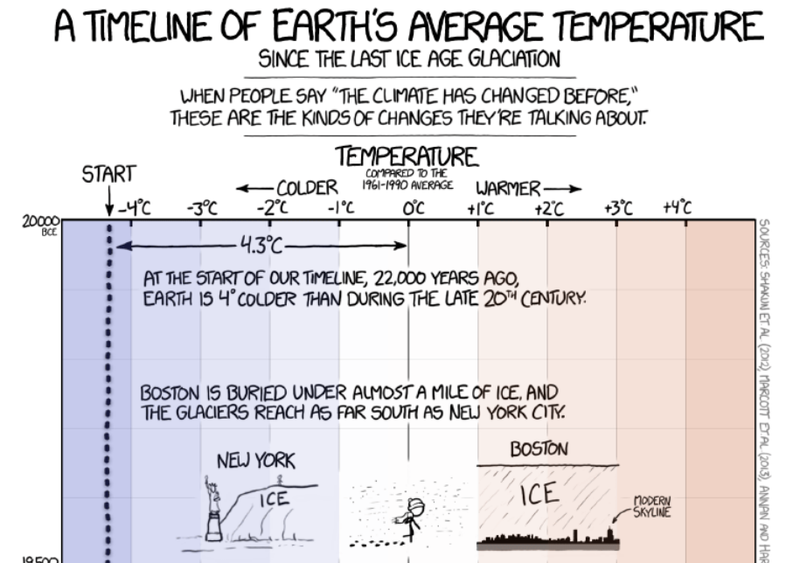 It could even possibly hit us in the year 2135. That they are taking a chunk out of it beforehand might prevent a few more “ouches” on that fateful date. 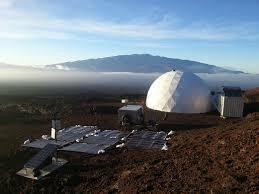 It seems like only a few weeks ago, Galactic Sandbox was telling its readers that the year-long HI-SEAS (Hawaii Space Exploration Analog and Simulation) isolation experiment in Hawaii was about to begin. Simply put, HI-SEAS is an elaborate NASA research project that tested the mental, social, and technical virtues of astronauts confronted with challenging incidents and claustrophobic teeth-gnashing on long extended space voyages. 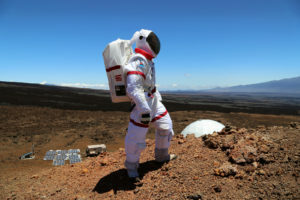 It’s already been a year and the six would-be space explorers have emerged from their domed hermitage on a remote mountain top in Hawaii, living almost exactly as they would have to live together in a small shelter on the surface of Mars. The project’s “puppet masters” threw plenty of high tension crises at the gender-balanced crew comprised of experts in some scientific field including a soil scientist, a physicist, astrobiologist, architect, and even a so-called journalist to document the experience. The would-be Mars-nauts were subject to sudden black-outs, provided with research tools that were built purposely to break down, and were even told that a radiation burst was headed their way – forcing them to don cumbersome spacesuits and take shelter in natural lava tubes outside. To say there was squabbling on Biosphere 2 is a laughable understatement. It was eventually disclosed that there was out-and-out war going on between crew members. 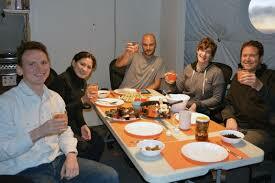 Happily, HI-SEAS turned out to be much more successful, and much more copacetic. Oh, there was some college-dorm-style quibbling, to be sure. Kim Binsted, principal investigator of the project, said there was “plenty of typical bickering about who ate the last piece of chocolate, ‘you are chewing too loud’ or when someone didn’t do their share of chores.” But in general, she added, the crew was respectful and civil. The hardest obstacle to overcome, said the crew in post interviews, was boredom.